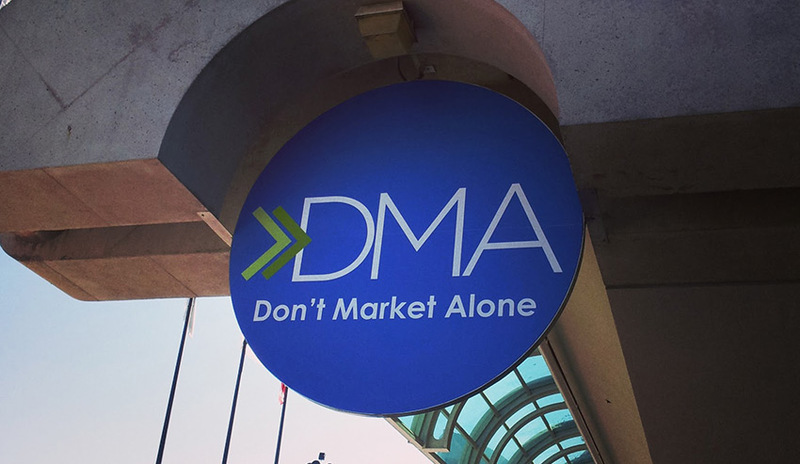 Kiosk attended the DMA 2014 conference for data-driven marketers, which took place in San Diego at the end of last month. It was great to experience so much thought-leadership from an impressive line-up of speakers, and network with our colleagues from the marketing, media and social worlds. Here are five take-aways and memorable moments from DMA 2014. – Magic Johnson (yes, Lakers legend-turned-entrepreneur Magic Johnson) scored big with a perspective-packed Keynote, reminding people that competition makes you better (in his case, the competition of Larry Bird fueled his playing years). Getting specific, Magic advised DMA attendees to conduct a SWOT analysis of your company every six months. – Fed Ex’s MD of Customer Experience, Mike Rude, cited a MarketingSherpa report that 79% of marketing leads never convert into sales, often due to weak lead nurturing. His advice? Build customer experiences that foster emotional attachment. Digital experiences like StitchFix and McCormick Flavor Print allow brands to give each customer a more individualized experience. – On a similar topic, Ernan Roman of ERDM urged brands to evolve past transaction-based communication towards true customer personalization. He outlined four levels of trust that a company must meet with their customers. – Do what you promised – deliver on your fundamental brand promise. – Treat me fairly – fair pricing, honorable customer service policies. – Protect my personal information. – Improve my experience – use my stated preferences and know my aversions to improve my experience and engagement. – Saatchi & Saatchi’s Angella Hubbert demonstrated that a 100% response rate, while rare, is possible. Registered guests at a Swedish horror film festival received highly-personalized mobile messaging that scared every attendee into RSVPing within a two-hour period. Shocking stuff, but effective. – This British Airways commercial (all five minutes of it) got attendees emotional, and emotional attendees = social media shares.